In small groups (3-4 students), produce a close reading of a passage from Obasan that is tied to memory. Be prepared to tell the class why you chose this particular passage and how it is significant to the novel as a whole. Use the Strategies for Close Reading Prose section of the Close Reading Prose chapter to help you. Remember to think about not just what the author is saying, but how she is saying it, including in your discussion any relevant literary devices that contribute to the meaning the passage creates. 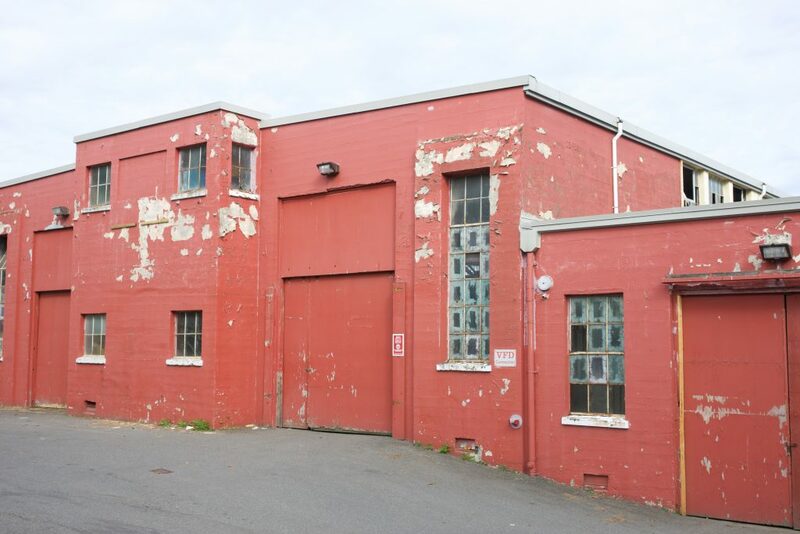 Livestock Barn in Hastings Park in Vancouver, BC. Raymond Kam, 2017. Watch the Canadian Broadcasting Corporation (CBC)’s news coverage of former Prime Minister Brian Mulroney reading the Canadian Government’s official apology to Japanese Canadians on Sept. 22, 1988. Which passage from Obasan does former New Democratic Party (NDP) leader Ed Broadbent read? Why might he have chosen this passage? What effect might Broadbent’s selected passage have had on an audience? Watch CBC Midday’s Nov. 11, 1999 interview of Joy Kogawa together with Canadian author Monica Hughes upon the publication of the essay collection Too Young to Fight: Memories from Our Youth During World War II. The collection features pieces by Kogawa (co-authored with her brother Timothy Nakayama) and Hughes, among others. Host Tina Srebotnjak asks Kogawa if she has “made peace” with the Canadian government’s treatment of Japanese Canadians during World War II, given the official apology. How do you read Kogawa’s statement about the lasting effects of racism in individuals’ psyches and the intergenerational transmission of these effects? Does Kogawa’s response affect your reading of Obasan’s ending? Why or why not? Joy Kogawa used material from Muriel Kitagawa’s letters in Obasan (especially in Chapter Fourteen). Compare and contrast Kitagawa’s This is My Own: Letters to Wes & Other Writings on Japanese Canadians, 1941-1948 with Kogawa’s Obasan. How does your reading of Kitagawa’s letters and writing affect your reading of Kogawa’s novel (and vice versa)? 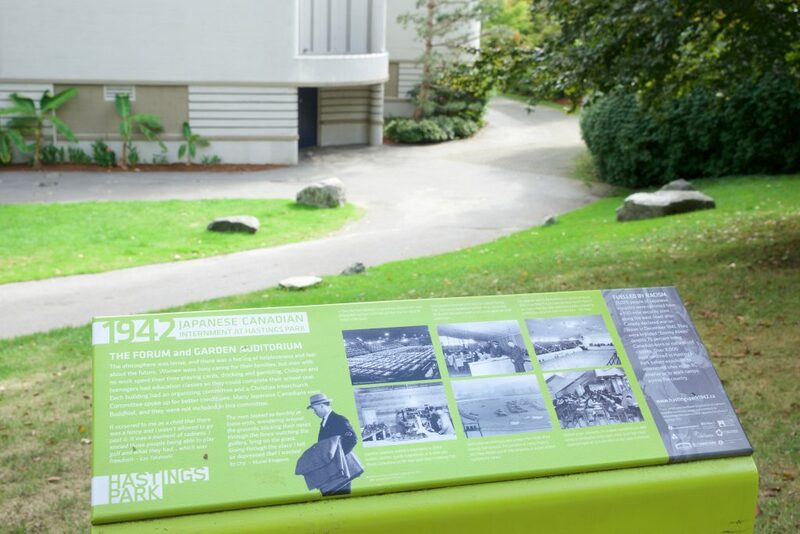 Read about the Japanese Canadian Hastings Park Commemoration and Education Project (on the Hastings Park 1942 website) and the Historic Joy Kogawa House. Why is it important to commemorate such sites? How does Kogawa’s Obasan engage in its own project of commemoration? Plaque from Hastings Park Commemoration and Education Project outside Forum and Garden Auditorium in Hastings Park, Vancouver, BC. Raymond Kam, 2017. Hastings Park 1942. Japanese Canadian Hastings Park Commemoration and Education Project, n.d. Web. 13 May 2016. Historic Joy Kogawa House. Historic Joy Kogawa House Society, n.d. Web. 13 May 2016. Joy Kogawa’s webpage. Joy Kogawa, n.d. Web. 13 May 2016. Joy Kogawa on CBC’s “George Stroumboulopoulos Tonight” (2013). Interview by George Stroumboulopoulos. George Stroumboulopoulos Tonight. CBC, 2013. CBC.ca. Web. 13 May 2016. National Association of Japanese Canadians. National Association of Japanese Canadians, 2018. Web. 1 Feb. 2018. Nikkei Stories. Orbit Films, n.d. Web. 13 May 2016. Beauregard, Guy. “After Obasan: Kogawa Criticism and Its Futures.” Studies in Canadian Literature 26.2 (2001): 5-22. Print. Dobson, Kit. Transnational Canadas: Anglo-Canadian Literature and Globalization. Waterloo: Wilfred Laurier UP, 2009. Print. Kitagawa, Muriel. This Is My Own: Letters to Wes & Other Writings on Japanese Canadians 1941-1948. Ed. Roy Miki. Vancouver: Talonbooks, 1985. Print. Kogawa, Joy. Gently to Nagasaki. Halfmoon Bay: Caitlin P, 2016. Print. Kogawa, Joy and Timothy Nakayama. Recollection. Too Young to Fight: Memories from Our Youth During World War II. Comp. Priscilla Galloway. Toronto: Stoddart, 1999. 134-49. Print. McAllister, Kirsten Emiko. Terrain of Memory: A Japanese Canadian Memorial Project. Vancouver: U of British Columbia P, 2010. Print. Miki, Roy. Redress: Inside the Japanese Canadian Call for Justice. Vancouver: Raincoast, 2005. Print. Wilson, Sheena, ed. Joy Kogawa: Essays on Her Works. Montreal: Guernica, 2011. Print. Fukushima, Michael, dir. Minoru: Memory of Exile. National Film Board, 1992, Film. Livesay, Dorothy. Call My People Home. Toronto: Ryerson P: 1950. Print. Murakami, Sachiko. Rebuild. Vancouver: Talonbooks: 2011. Print. Sakamoto, Kerri. The Electrical Field. New York: W.W. Norton, 1998. Print. Kogawa, Joy. Obasan. 1981. Toronto: Penguin, 2017. Print. Kogawa, Joy and Monica Hughes. Interview with Tina Srebotnjak. Midday. 11 Nov. 1999. CBC Digital Archives. Web. 13 May 2016. “1988: Government apologizes to Japanese Canadians.” The National. 22 Sept. 1988. CBC Digital Archives. Web. 13 May 2016.